I need 3 brackets that sit on top of the bar that the liner sits in for a Johnny Weissmuller round above ground pool. Hi Sherry. The only source I know of for Johnny Weissmuller Pool Parts is Teddy Bear Pools. Give them a call, maybe they can get the parts you need. Our Weissmuller 15 x 24 has 4 portholes and we need to replace the liner. The gaskets are the problem. Where can I get the gaskets for the portholes? johnny weissmuller stiffener bracket F9272 needed. Where do I get one of these? Coping for South Beach/gray 27 ft. I'm looking for 4 coping (top rails) for a South Beach model/27 ft. pool, a tree fell on it and has damaged the rails. Hoping someone can help me, have tried Teddy Bear, so far, no word. Thank you! Grey carpet on Johnny Weissmuller pool decking is disintegrating and needs replacement. Anyone have any ideas what to do. Real shame. 15x30 pool with end decking with 60 year warrantee, but no where to complain or get parts! If anyone has them, I need a bunch. Thanks! I'm trying to find a winter cover for my johnny Weissmuller pool with an end deck, all around walkway with railing. Help. Hello, I have 24' round Johnny Weissmuller pool and need bottom ground rail. Can you give me any info? thanks. I am looking for top rails for a Johnny Weissmuller Pool, 15 x 30. I have an 18 foot round, bought in 1987. Need bottom rails. No manual, what to do? Need top rails for johnny weissmuller 24 ' ×52" silverado ll pool. Any help would be GREATLY APPRECIATED! I'm looking for the bottom track for the Johnny Weissmuller Pool along with 8 top covers that have the JW on them...please respond with any information on where to get replacement parts. Did you ever find the brackets? I'm looking for some myself. I'm having no luck though! we need a Johnny Weissmuller skimmer basket for our semi inground pool. Model # T3793-TI4A-50 we purchased the pool 8 yrs ago at Harrows Thanks!! I Need 4 vertical uprights and installation manual for a Johnny Weissmuller 15x30 pool. Hi Derek, Did you have any luck finding an instruction booklet? I also need the assembly instructions. We have a 20 year old above ground Johnny Weissmuller pool. We are looking for the small white caps that fit on the railing that goes around the pool walk. Any ideas as to where we can get these? I am looking for the same thing, did you find any, and where, if you did? I may have the white caps you are looking for. Our pool is 17 years old and still going strong but the railing caps that top the pool walls are faded and scratched. Can I replace them and what would it cost? It is a Johnny Weismuehler pool 15 x 30 oval. Where can I find replacement individual interlocking wall slats for a Johnny Weismuller pool that is about 28 years old. I need to replace the slat that is contains the pool return as it is splitting. We have been searching for a replacement section of fencing for our 24 ft round pool. The teddy bear pools site doesn't have these available. 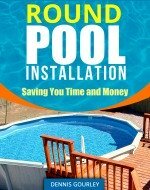 I have a 30' round j/w pool, am looking for 3 extruded aluminum panels and new liner. Also need carpet on deck, (extended size). Also looking for new skimmer basket assembly and gaskets. Please e-mail me at realtistnar@aol.com or call Mark Hyle 410-608-6812. Where can I find Johnny Weissmuller Pool Parts T1703-39	4" - JW COPING COVER -(JW SIDE - BEIGE. Everywhere I look they no longer sell them. Where can I find the JW Safari 15 x 30 48" pool wall? I am looking to replace pool caps for a 15 above ground pool purchased at Harrows in 2002. I am looking to replace the caps that go over the section where each part of the top rail connects. Its a Johnny Weismuller 15 x 21 pole pool from about 1991. I also need one that broke did you find them? I am looking for the replacement caps for my 22" round Johnny Weissmuller pool and replacement JW brackets. I need to find the slotted panel pieces that slide into a Johnny Weismuller above ground pool. They are the panels for the skimmer basket and the return line. Where can I locate these parts? Where can I purchase two 48" panels for a Johnny Weismuller 18X33 pool? Slated panels. Were do I find fencing and aluminum bracket pieces for Johnny Weissmuller 18'×33'×48" above ground? Looking for the installation manual for 18 x 33 above ground johnny weissmuller pool. Anyone know where I can find that? One-Piece Extruded Aluminum Bottom Rail... that's what I need for my older model Johnny w. pool oval 15 X 24. Anyone know where to get one? Where can I purchase coping covers for 2004 Johnny Weissmuller above ground swimming pool? I need coping covers tops and bottoms for a Johnny Weissmuller 18 round silverado swimming pool.